Zapped! "Cruella sent me all this great stuff!" - Amazing Lucy strikes again! Discussion in 'Pin Zaps & Swaps' started by Spr175psu, Mar 24, 2018. 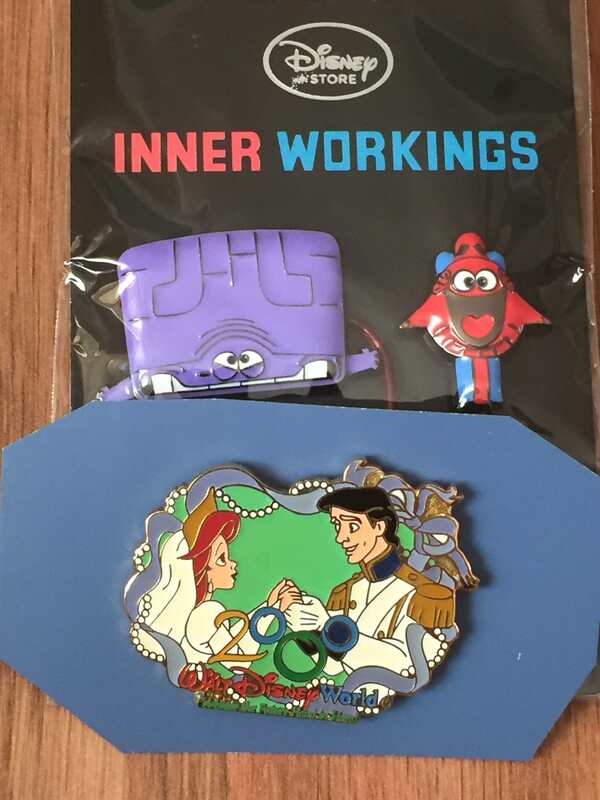 So I recently was fortunate enough to win Lucy's, @Disneychildwithin, auction for the pin from Inner Workings, the cute short before Moana. I've been looking to trade for this pin ever since I learned about it since we saw Moana 4 times in theaters and we all loved the short and made sure to get to the theater in time to see it. When I saw that Lucy put up an auction for it, I tried to make it a point to remember to bid on it, which I nearly forgot to do! But I am so happy that I remembered and actually won. Fast forward to today. We just came home from seeing Sherlock Gnomes when instead of receiving a small package for the Inner Workings pin, we received a considerably larger box. My daughter and I ripped open the box because I wanted her to see the Inner Workings pin for her collection and we found all of this stuff! I showed her the note first, which led to the thread title quote from her. She just assumed that Cruella sent her all of this amazing stuff. And the notepad and Ariel pencil are the absolute perfect gifts for her because she loves taking notes and drawing. We typically go through a notepad pretty regularly so this is perfect. 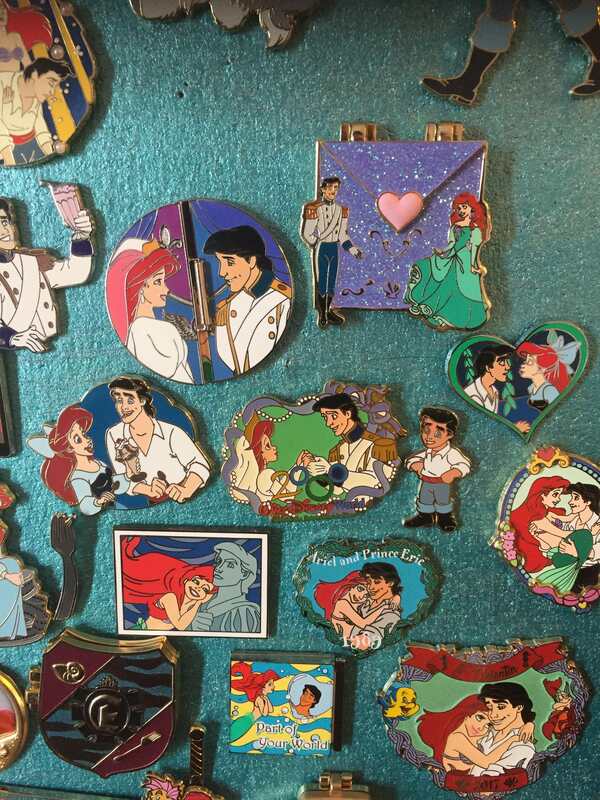 Last but not least, Lucy included the best pin ever for her as she loves Ariel, and Eric is "handsome" and they're her primary collection. Within 2 minutes, the pin was up on her Ariel board. 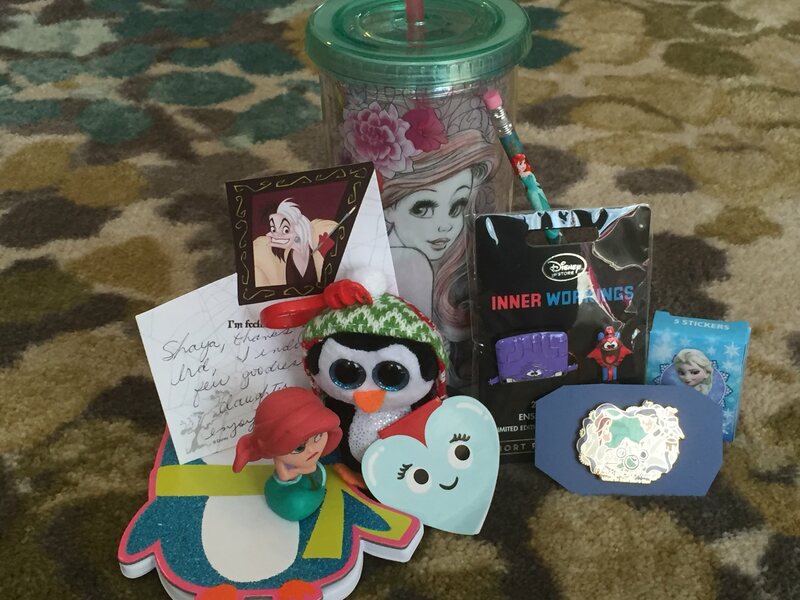 Thank you so much, Lucy, @Disneychildwithin, for your incredible thoughtfulness and generosity. My daughter absolutely loved all of it. And you are quite the opposite of Cruella, unless as my daughter seems to think, she has greatly reformed. We were thanking each other at the same time! Too funny. So glad she enjoyed her goodies! My kids can vouch that I can definitely be Cruella, plus, half of my hair really is almost white! What an awesome pack of zaps! Congrats!